Vanderhall have made a name for themselves in the US with their handmade, fun-themed three-wheelers. They’ve even bagged a few famous fans, such as well known petrolhead Jay Leno. Now they’re coming to Europe and thanks to funny licensing laws, it’s sort of a motorcycle. Vanderhall’s most well-known model is the Venice – a lightweight three-wheeler for cruising around Los Angeles. In Europe, the Venice is counted an auto-cycle, so you can take the wheel of the 1.4-litre turbocharged inline four with a full Category A in your pocket. Mercifully, it goes just like a bike too. Strapped to the engine is a six speed sequential gearbox (just like a bike) and a lightweight composite body (just like a bike). 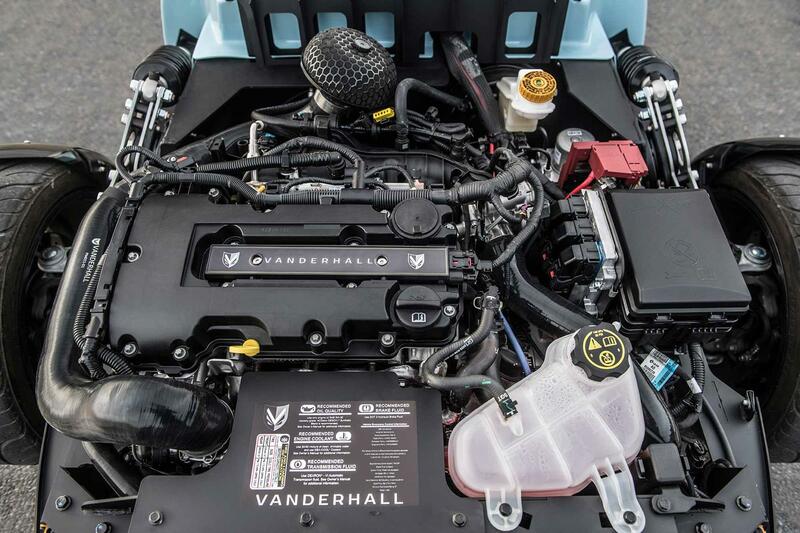 That means the Venice will shoot its way from 0-60 in just 4.5 seconds and will motor on all the way to 140mph. It’s also got all the usual kit you’d expect from a premium motorcycle such a pair of heated seats, dual-servo ABS, traction control, fully-adjustable suspension and a Bluetooth stereo. There's stuff you wouldn’t expect, such as power steering for when things get frisky and a roll bar for when things have gone too far. This isn’t the first vehicle like this we’ve seen over here. 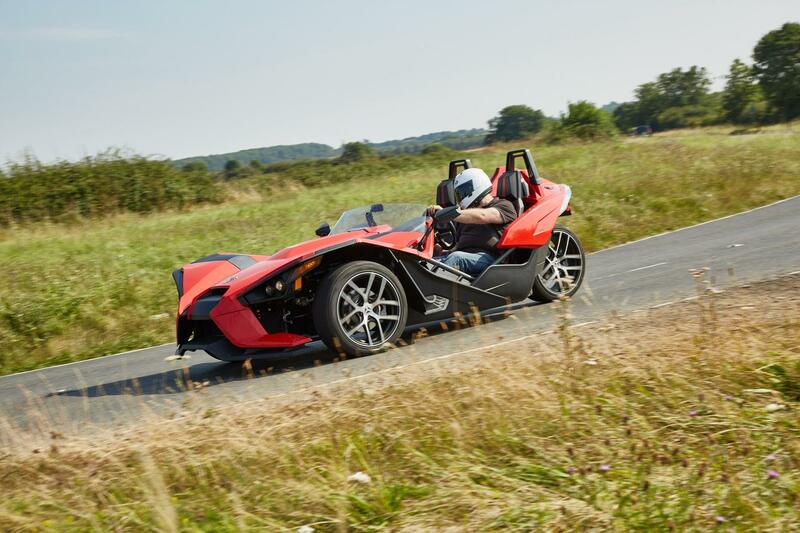 The Polaris Slingshot, from the same parent company as Indian and Victory, has been on sale for a while but it never took off (possibly because it looked a bit too much like Batman’s appendage). For now there are no dealers in the UK, and it’s left hand drive only, but Vanderhall hopes to set up in the UK very soon. In the meantime you can import one from Europe easily, as it’s fully homologated, with a Venice starting from £40,000.